Winter has well and truly hit High Wycombe in the last couple of weeks. 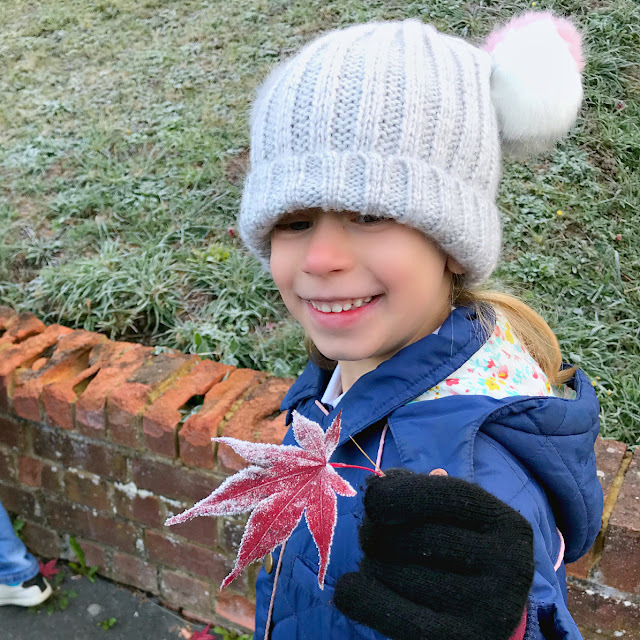 The school run has turned from a pleasurable meander in the pale Autumn sunlight into a cold and miserable scurry in the rain and even I'm thinking of purchasing a bobble hat to keep my ears warm as I walk to school and back a few times everyday. Winter is particularly tough on skin. As a family we struggle with dry, cracked and sore skin on our hands and faces and it can be hard to find products to help. Yeah. I guess I am kinda fussy. And that's before I get started on the kids. Both Lily and Ollie have very sensitive skin. Lily tends to have periods of eczema, especially during the winter when it is particularly cold. Her hands and lips get very dry and we often need to use an aqueous cream on her elbows and knees after bath time. 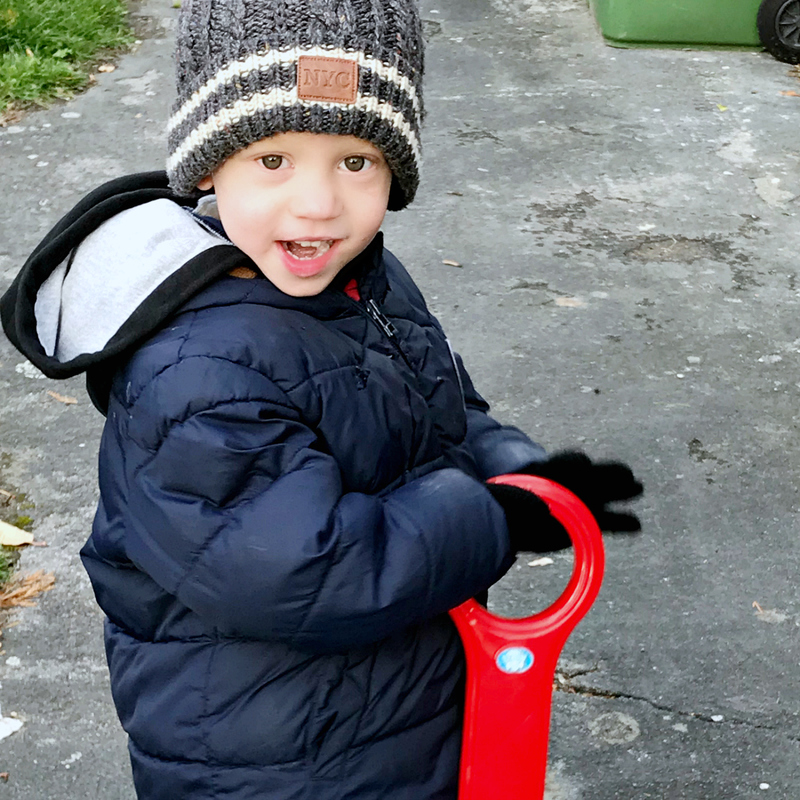 Ollie doesn't have a problem with dry skin on his body but his face and hands are unusually sensitive and he is prone to allergy-like flare ups that leave his skin bumpy, rough and sore. Because of this, I am even more fussy when it comes to using products on my children and will often avoid them all together if I can. Instead relying on a few tried and tested family favourites. It's also fragrance and preservative free, suitable for use on babies and young children and can even be used for minor burns. It was time to give it a go. 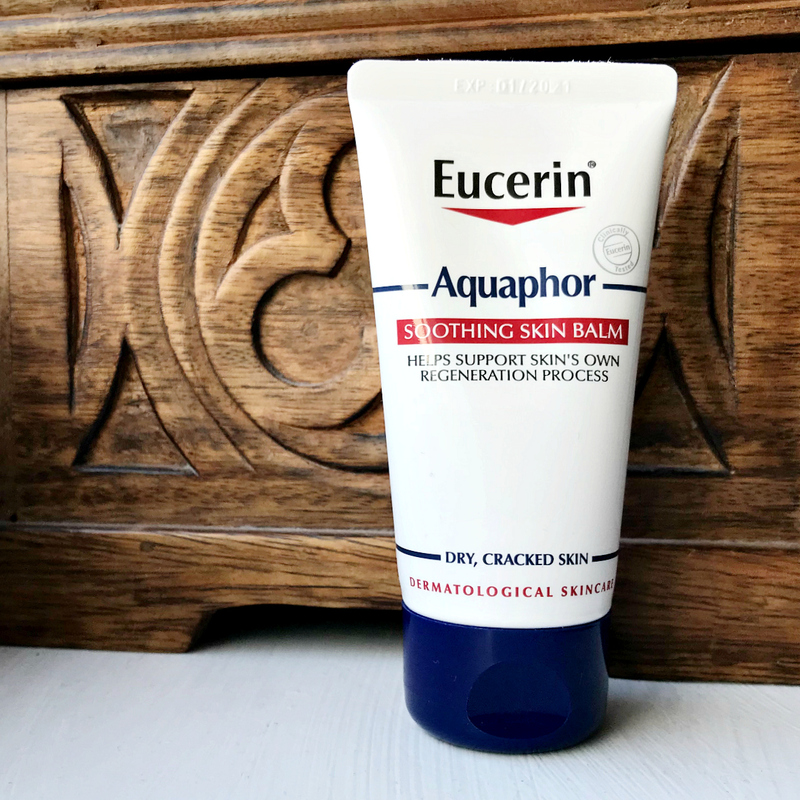 As a balm, Eucerin Aquaphor isn't like your usual moisturiser. It's less cream-like but not quite the consistency of petroleum jelly. I found that I preferred the texture to some popular branded products but it did take a while to feel like it had properly soaked into my skin. Once absorbed it left my skin feeling smooth and there was no lingering smell which is one of my usual pet hates with hand creams. For me, I popped the tube in my handbag. It was just the right size to carry around for when I need it. 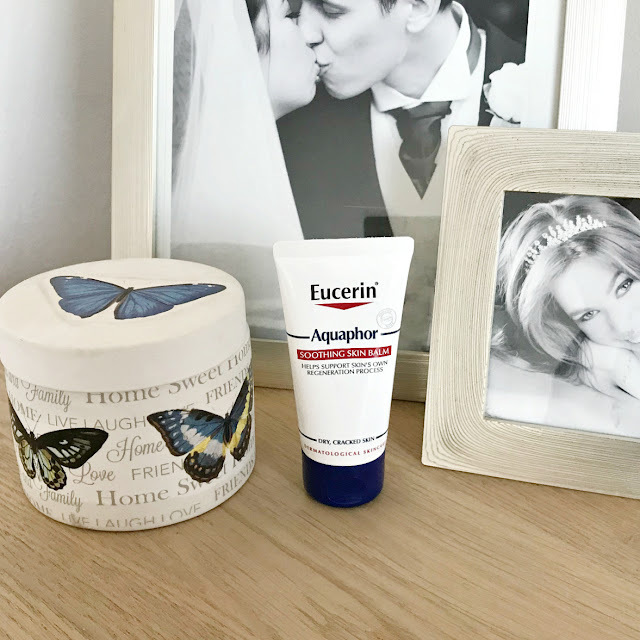 I was intrigued to hear that it could be used on the face and lips as well as hands and found that it worked really well as a lip balm as it was less slippery than my usual go-to. Inspired, I also got some of my school-mum friends to try it out after a discussion on dry hands during this wet and cold weather - it seemed to go down very well! For Lily, she really liked using it on her hands during the day and on her knees and elbows after bath time. 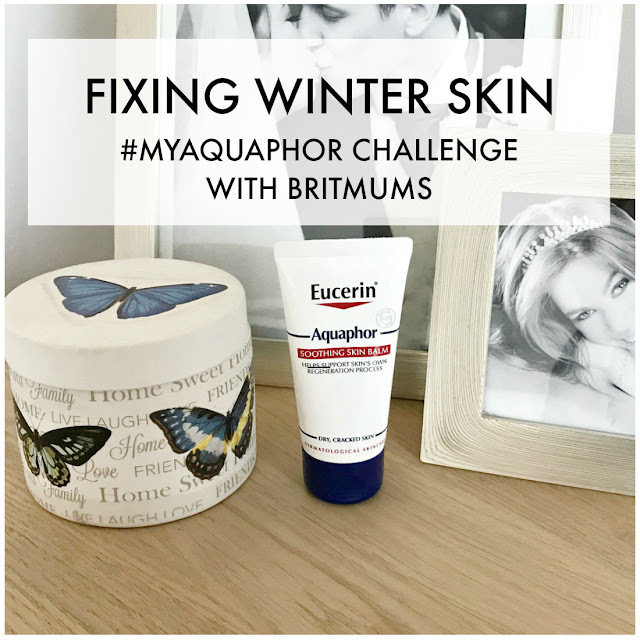 It has made a noticeable difference to the slight patches of dry skin she had on her elbows and she says it feels nicer than the usual aqueous cream. As Ollie is so sensitive we've only used a little on his face. I've found that it is really useful on the morning school run, when the cold air often turns his cheeks very red, sore and dry. He doesn't say much when I ask for his opinion, but he doesn't complain when he puts it on so I take that as confirmation enough. The real test however in our house for anything skin-related, is Matt. Eczema runs in his family and, although he doesn't suffer as bad as his older sisters, his skin gets easily irritated and very sore. He's not the kind of person to carry round a hand cream during the day but I have been leaving it on my bedside table and he's been using it on his hands in the evening. And? He reports that it's done a great job. His hands have healed quickly, with less itchiness and soreness. So, as fussy as we are as a family, I'm glad we took the #MyAquaphor challenge with Eucerin and BritMums. 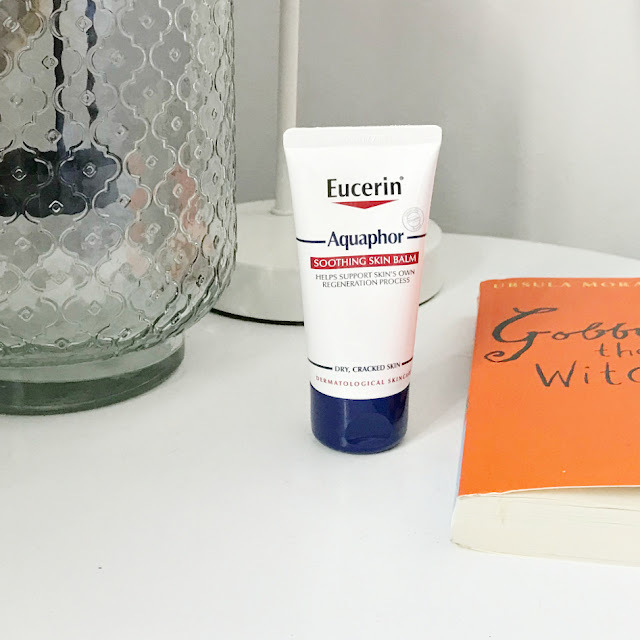 It takes a lot to get me out of my comfort zone and I tend to be loyal to my usual brands but Eucerin Aquaphor Soothing Skin Balm does what it says on the box, soothing dry and sore skin and has proved to be a great multi-tasker, perfect for all the family.